The Piñata Exhibit (Sure to be a Smash Hit!) celebrates this popular art form with over 175 examples from Mexico, California, Arizona, Nevada, Texas and New Mexico. 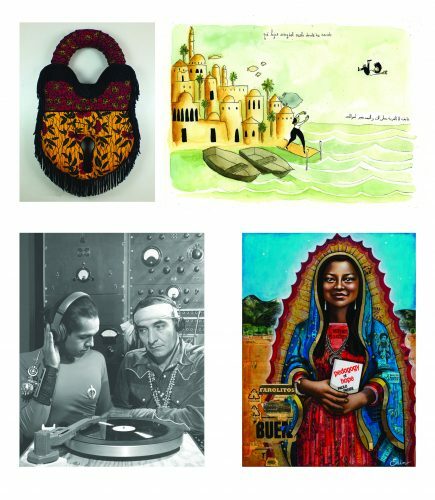 Traditional and iconic works, alongside creations by contemporary piñata artists, illustrate how piñatas maintain their historical and social importance while also reflecting transnational shifts in popular, political, and visual culture. If you love this exhibit, you’ll also love the new piñata-themed dish towels created by Kei & Molly Textiles. 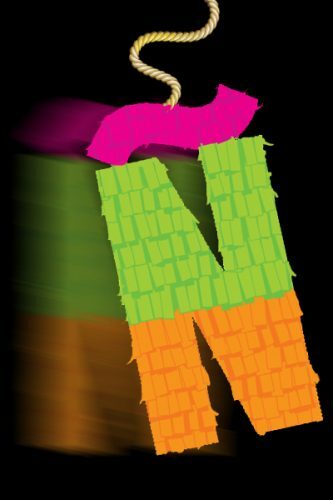 The design comes in six different colors (Raspberry, Green, Turquoise, Navy, Burnt Orange, and Squash), four of which are exclusive to the NHCC! Each dish towel is $12 and 50% of the proceeds benefit the NHCC Art Museum. 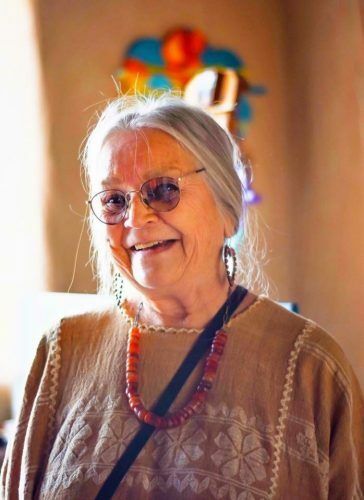 Get yours today or find out more by contacting Tey Marianna Nunn at tey.nunn@state.nm.us or 505-246-2261. 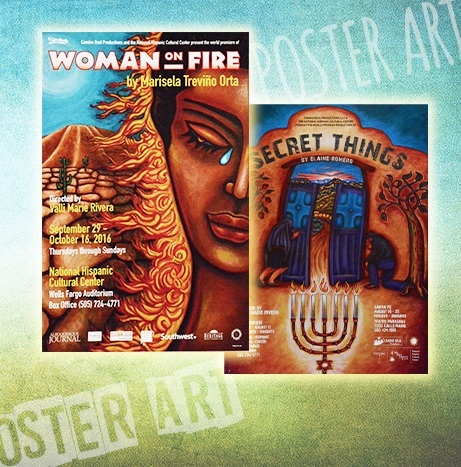 Welcome to an exhibition of posters created by the National Hispanic Cultural Center in support of various and numerous events over the last 16 years. 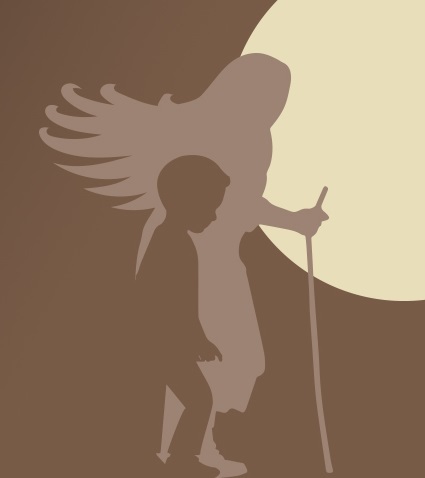 Each of the Center’s programs creates and presents events in conjunction with our mission. This exhibit will run from July to December 2017 in the History and Literary Arts Building. It is free and open to the public Tuesday-Friday, 10 am–5 pm and the 1st Saturday of the Month, 1 pm–5 pm. 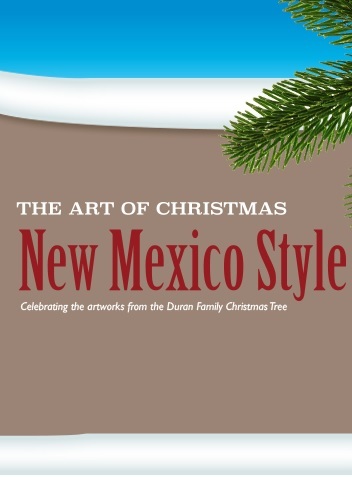 This exhibit features approximately 430 handmade ornaments by more than 125 New Mexican artists that have been collected by the Duran family (Matt, Jeanette, and their son Gabriel) over nearly 20 years. Matt and Jeanette began collecting Christmas ornaments in 2000 and there first tree was only 4 feet tall. Now, the ornaments are displayed on a number of trees in their home including one that is 15 feet tall. 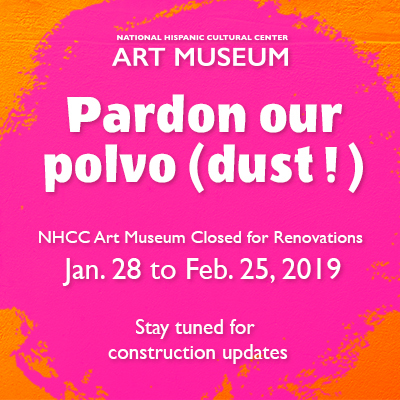 You can explore this impressive collection in the NHCC Art Museum between December 2, 2017 and January 7, 2018. Now, you can also purchase the catalog for this incredible exhibit. This museum exhibition included much contemplation by the Visual Arts program staff and interns about what it might look like to create an exhibit that relinquished a bit of institutional control and placed it in the hands of the artists. Many of the works were not seen in their completed form until just weeks before the opening. The process continues to be a learning experience and the hope is to maintain an environment of openness and education, for the staff and our visitors, even after the exhibition closes. We are so honored to work with this amazing group of artists. Because It’s Time Artist Studio Tour Day – Albuquerque! Participating artists and additional details will be announced soon. Free – $5 donations are encouraged to support the artists. Information about times and locations will be sent to pre-registered guests. The event will be capped based on the capacity of the artists’ studios. 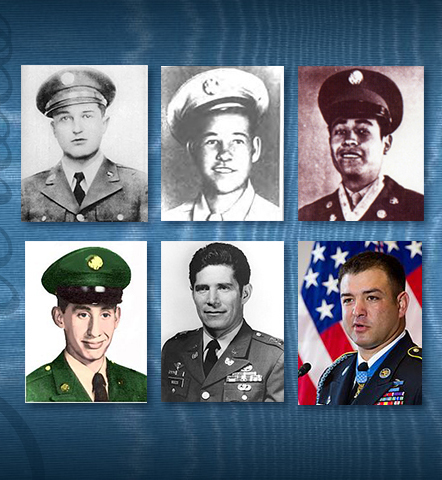 The New Mexico Hometown Heroes: Hispanic Congressional Medal of Honor Recipients exhibit is a tribute to the six Hispanic Congressional Medal of Honor recipients who have received the highest honor that the United States government bestows for acts of valor and heroism. It celebrates not only their stories of service but their connections to New Mexico: Private Joseph Martínez (WWII), Private José Valdez (WWII), Master Sergeant Alejandro Ruíz (WWII), Specialist Fourth Class Daniel Fernandez (Vietnam War), Chief Warrant Officer Louis Rocco (Vietnam War) Master Sergeant Leroy Petry (Operation Enduring Freedom). This exhibition of photographs, narratives, and ephemera allows us to reflect on the sacrifices of those who served, and those who follow in their footsteps. It is on display in the NHCC History and Literary Arts building. You can find the hours for that building here. During the time the museum is closed, visitors can still see Mundos de Mestizaje, Frederico Vigil’s fresco depicting thousands of years of Hispanic and pre-Hispanic history, every Saturday and Sunday from 12-5 pm or by scheduling an appointment by calling 505-383-4774.